We are a team of very passionate people, everybody coming from different directions sharing the same passion for bikes, nature and adventure. Choose to be guided by an experienced guide or just choose to ride by yourself , either way you will get the best of it! We have amazing roads, awesome bikes and the goal to show people from around the world that everybody can have fun and incredible experiences riding a motorcycle in Romania, through Carpathian Mountains and visiting Transilvania, one of the most beautiful part in Romania. 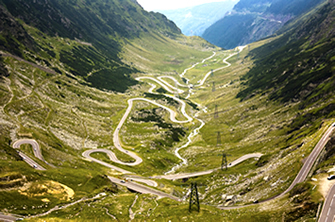 We offer you exceptional motorcycle tours in Romania, where you can feel the adrenaline, admire the mind blowing scenery and make lifetime memories, by riding on the most beautiful road in the world, Transfagarasan famous road! One of the most scenic rides on the Carpathian Mountains roads in Romania! 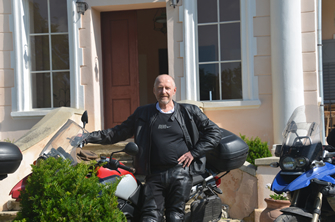 Take your friends and join us in a great motorcycle guided tour in Transylvania! Ride the newest model of BMW 1200 LC! 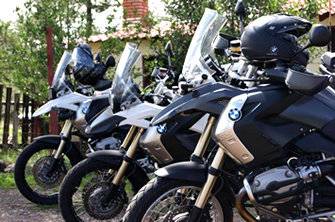 We offer you fully equipped BMW motorcycles including free WI FI for the entire trip! Smile with us on famous Transfagarasan pass, visit Bran Castle, fortresses and old cities, ride with us and you will get life time experiences!